At Sam Adams, each year we travel to Germany to select the world’s best Heirloom aroma hops for our Boston Lager. Big Industrial beers are made with bittering hops purchased on the global commodity markets. While these provide a lot of bitter they do not have great aroma. Samuel Adams Boston Lager. Rich, flavorful, aromatic and brewed inefficiently since 1984. Brewed Inefficiently is how we describe our approach to brewing here at Samuel Adams. It’s important to us because it allows us to prioritize quality and craftsmanship over bottom line profits. A revolutionary new beer that is an unmatched combination of refreshment, craft flavor, and aroma. We opened our Boston Brewery in 1988, and ever since, it has been our research and development hub. Come take a tour of this historic Brewery and grab a pint or flight in our Tap Room. America is built on the dreams and triumphs of people who took a chance to pursue better. We support the people who continue to believe in pushing forward to build a better life. For everyone who has the desire to find a better way, or believes in a better idea – no matter how big or small it may be. For those who see beyond a glass half full or half empty, and instead want to work to fill it up. We salute your journey with our own. 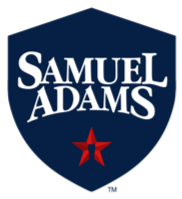 Samuel Adams is the official beer of our home town team, the Boston Red Sox. Visitors to Fenway will enjoy the freshest Sam Adams beer while watching the Sox play under our name in lights in right field. It’s our impossible dream come true. We opened our Boston Brewery in 1988, and ever since it has been our research and development hub. If you're in Boston, take a tour and sample some exclusive beers. Jim Koch helped start the Craft beer revolution when he first brewed Boston Lager over 30 years ago. Boston Lager helped lead the American craft beer revolution, reviving a passion for full-flavored, high quality brews.